After yesterday’s unintentional sticker spoiler YGE has officially issued Bobby’s Love and Fall track list and it is a doozy. We are getting two title tracks, I love you and Runway and 8 more songs. So come 14th September we get to enjoy 10 songs in total. 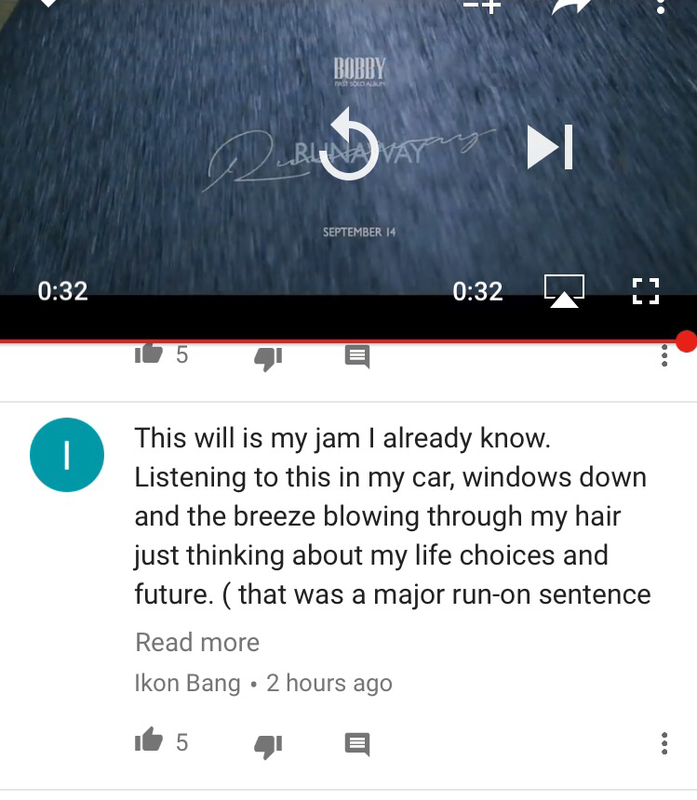 Bobby himself has written lyrics and co-composed all 10 tracks on his album thus truly telling his story. Working with Bobby we have old trusted producers Choice37 and Kang Uk Jin and some new names Diggy and Millennium. Track list had some surprises for us, especially song Secret as it has featuring by iKON’s Donghyuk and trainee Katie Kim of Kpopstar fame. Donghyuk even participated in writing lyrics and another trainee Choi Raesung aka Millennium arranged the song and participated in composition. Truly YG young blood track. Another featuring artist is Mino on song Up, which is rumored Mobb track that we allegedly got a glimpse of during Mobb promotions. Looking at the track list we are about to have an intimate insight in Bobby, a young man on cusp of adulthood and I for one cannot wait to hear what he has to say. BOBBY’S LOVE AND FALL VIDEO TEASER IS HERE!!! YGE just dropped the video teaser for Bobby’s Love and Fall Album and we are having conniptions! It’s bright, Bobby’s cute but he’s also hot?? He’s vocalizing but he doesn’t say much but also we’re nominating him for a Grammy? He jumped in a pool and came out dry!! Kim Bobby can do all things! Sorry but we’re too emotional to be coherent! This is really happening! There are tears on the keyboard!!!! 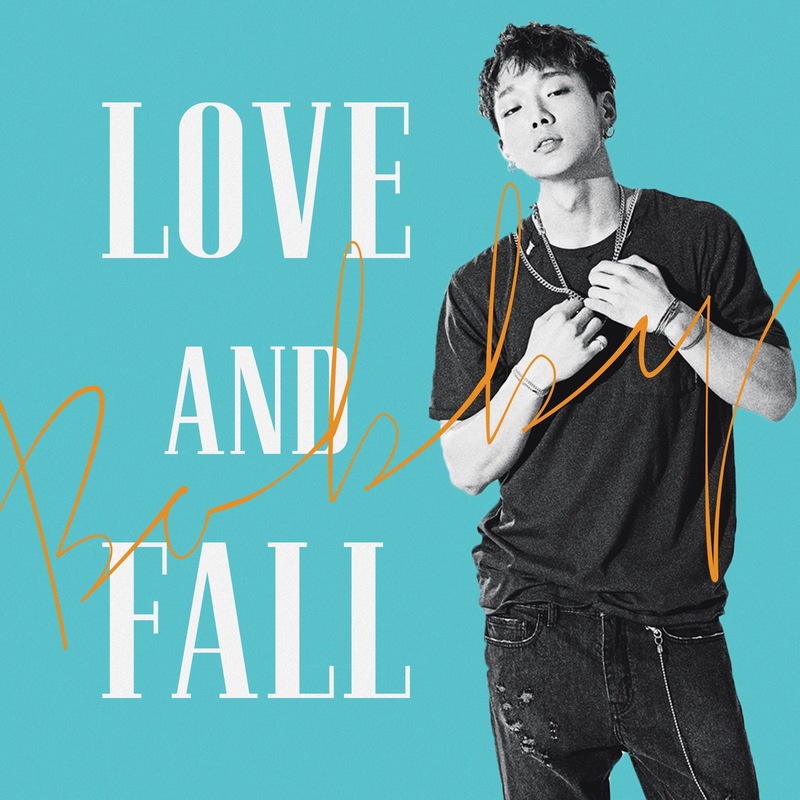 Posted on September 8, 2017 Author Indigo RadioCategories Album, Bobby, New Release, teasersTags Album, Bobby, I love you, iKON, iKONICs, Jiwon, Love and Fall, Music, Runaway, Teaser, video teaserLeave a comment on BOBBY’S LOVE AND FALL VIDEO TEASER IS HERE!! !